As part of an official land swap, the Massachusetts Department of Transportation (MassDOT) is making plans to relocate to a modern facility. Construction of the department's new headquarters is under way, with the move coming not a moment too soon. The new headquarters will be four levels, with lower and upper parking lots. The existing structure resides on Belmont Street in Worcester, which is in the middle of the UMass Medical Center campus. Because the property is adjacent to the medical school and hospital, it's considered an ideal location for a future facility offering health care services. 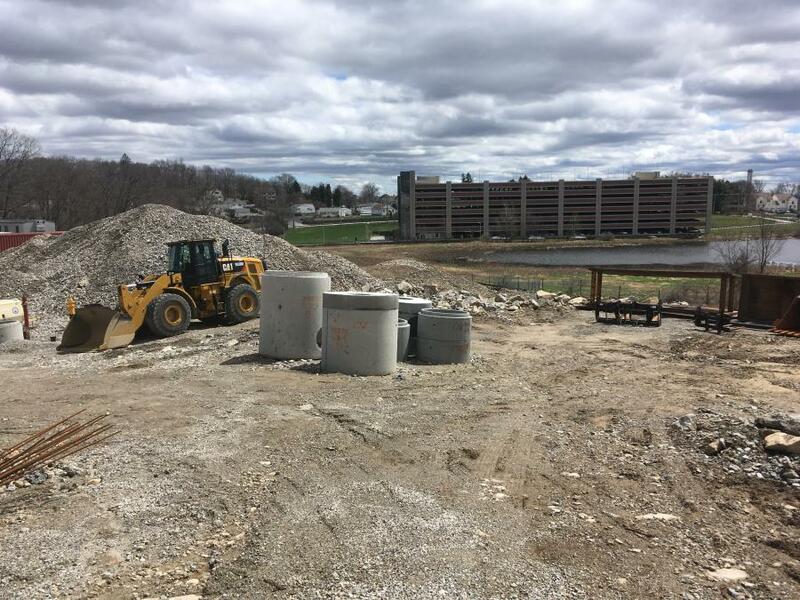 As part of an agreement with UMass Medical School, MassDOT received a parcel on Plantation Parkway in Worcester, in exchange for the Belmont Street property. 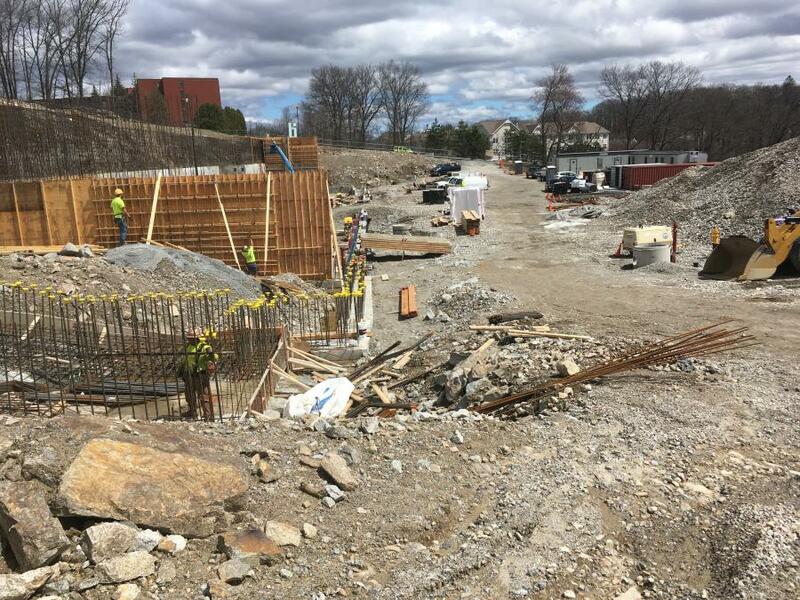 MassDOT is building the new administration building on the Plantation Parkway land. “The site of the new building is less than two miles away from the existing building,” said Marvin. “MassDOT staff are able to remain in the current building as the new facility is constructed, meaning there is no impact on daily operations. The construction project will cost approximately $36 million and is currently scheduled to be completed in 2019. “This building will be the largest net zero energy building east of the Mississippi and is a big development in terms of net zero construction,” said Marvin. “All the energy that will be consumed by this building will be generated on site. During the summer months, the building will actually give energy back to the electrical grid. One of the primary net zero energy features is that the building will be angled to maximize the amount of sunlight that hits the building, specifically during the morning hours. 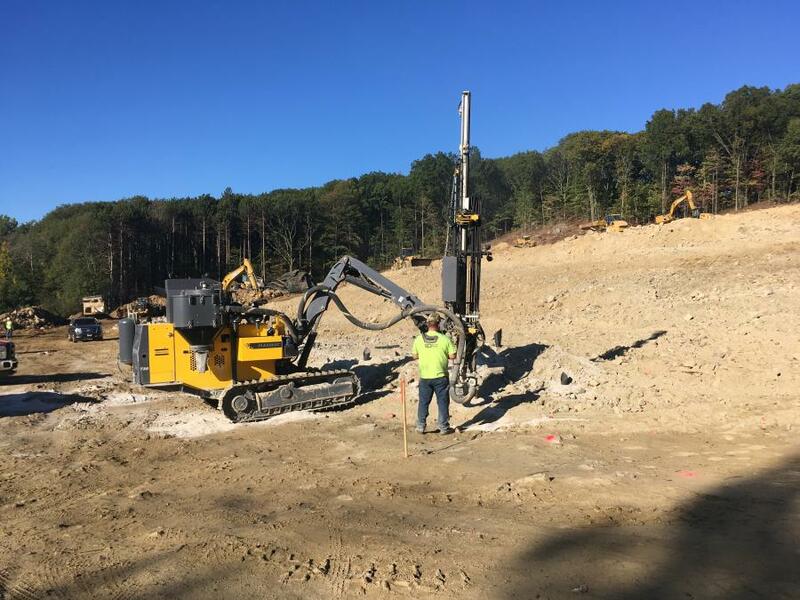 According to Barry Lorion, MassDOT District 3 highway director, the new administration building will be an extremely energy-efficient facility, based on the use of solar energy to support lighting, heating and air conditioning, computer technology and other equipment. The highly-anticipated new building also will be built with the technology and resources that will allow it to be a back-up for the current Highway Operations Center in South Boston, which serves as MassDOT's 24/7 traffic management center. “In times when the South Boston location is non-operational or unable to meet situational demands, the Worcester location will assist in performing functions, such as detecting roadway incidents, receiving reports of roadway incidents, responding to facility alarms, managing security systems and coordinating traffic operations, maintenance and emergency response activities,” said Lorion. Work on the project began in August 2017 and is expected to be completed in mid-2019. Crews are currently carrying out foundation work and site stabilization, in preparation of building the steel structure. Lorion noted the primary challenge with construction is difficult site conditions, due to elevation changes. For the most part, work has gone according to plan, with no significant setbacks. An estimated 85,000 lbs. of steel will be used to construct the building. Standard construction equipment is being used on the project, and there is not currently any specialized heavy machinery. 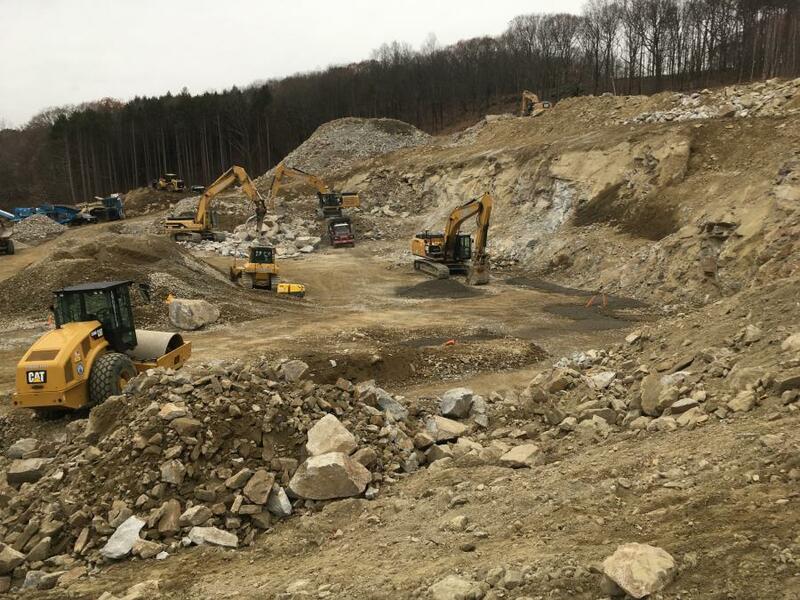 Dump trucks, excavators and rock drills were used throughout the blasting and excavation phase of the project. The amount of heavy machinery being used at any given time varies, depending upon the activities under way. There have been roughly five to 15 pieces of equipment on site, per day. The work has involved extensive blasting, excavation and ledge removal. Before the blasting phase, crews believed the rock was solid granite and relatively stable. However, it was discovered there were fissures and fractures in the rock, which translated the blasting to different areas. This was a major consideration during the process. Crews also put in a table top on top of the rock surface. This was a concrete pour on top of the rock which created a flat platform where the facility is being built, a typical step during construction. Rock blasting, a delicate and precise process, takes time and consideration. Crews used liquid explosive, due to the site's proximity to residences and businesses. Traditionally, granular explosives would be used for this type work. Liquid explosive doesn't actually blast the rock; rather, it cracks it, which allows crews to bring in machinery such as bulldozers and dump trucks to remove debris. While this type of explosive is more labor intensive and not as quick, it's more precise, and appropriate for projects of this nature. There also were many large trees that needed to be taken down. Crews spent roughly a week-and-a-half clearing the area, followed by another 10 days removing stumps. A D8 bulldozer, weighing approximately 90,000 pounds, was used for the somewhat tedious task. Crews then excavated the area for the basement section and worked upwards. One of the first steps was installing the water quality enhancement area, which will treat any water that runs off the site before it goes back into the ground. Key tasks remaining on the construction project include building the steel skeleton and enclosing the building, so that interior work can begin. The most time-consuming portion of the work will be the interior portions, such as installed electrical systems, sheetrock, flooring and the security system. Crews are continuing to work on building the foundation. It's expected that the steel skeleton of the building will be in place sometime in June. The focus will then be installing the exterior of the building and the roofing to ensure that the building is water tight. Indoor activities such as installing plumbing and electricity will then take place. MassDOT, which partners with municipalities, public agencies and private sector businesses, supports the economic, quality of life and environmental goals of the Commonwealth. Its new headquarters will help officials move forward with the department's mission.